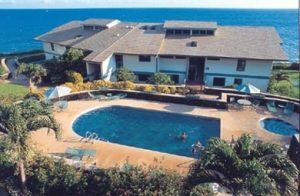 Enjoy incredible Oceanfront Views As the Sound of the Surf Beckons your call at Famous Poipu Beach Resort from the Privacy of your Own Beautifully Appointed Kauai Condo Rental . . . Ideally Located on the Sunny South Shore of the Magical “Garden Isle.” Marvel at the Breathtaking Sunsets from the Private Lanai of your 1-Bedroom, 2-Bedroom or 3-Bedroom Oceanfront Kauai Condo Tropical Vacation Getaway, While Listening to the Sound of The Surf as the Gentle Tradewinds Caress your Senses . 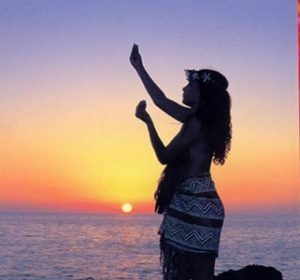 . . Just Moments away from the gorgeous South Shore Beaches Featuring Brennecke’s, Shipwreck & Poipu Beach. Located on the Southernmost point of the Island, Experience the rare opportunity to view both Sunrise & Sunset, from your Beautifully Appointed Condo featuring an Island-Rattan Decor. 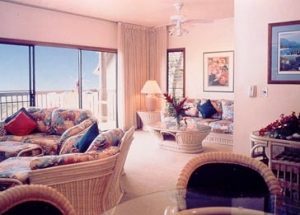 While Sipping your Favorite Tropical Drink on your Spacious Private Lanai, you’ll savor the full-service appointments of your Kauai Condo Rental Featuring Fully-equipped Kitchens, in-suite Washer/dryers (most units), Daily Maid Service, Color-Cable TV & VCRs. At Days end, prepare your favorite meal on our Gas BBQ’s, while marveling at another Breathtaking Sunset. For Your Added Vacation Pleasure, Take a Refreshing dip in the Pool, Play a Couple Sets of Tennis on our Lighted Courts, relax in the spa . . . or just relax pool-side soaking up the tropical sunshine. Don’t miss Famous Spouting Horn or Koloa Town featuring shops & Galleries in a Plantation Setting reminiscent of Old Hawaii. Additional shops & Restaurants & Championship Golf is just moments away. 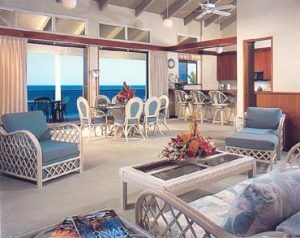 Welcome to the Ideal South Shore Vacation Condo Getaway at Famous Poipu Beach . . . Featuring Stunning Oceanfront Views, Breathtaking Sunsets & Gorgeous Beaches . . . at the Beautiful Makaha Resort. Your Distinguished Oceanfront South Shore Vacation Condo Getaway at Famous Poipu Beach Resort Features your Choice of Spacious l-Bedroom Kauai Condos that Accommodate 4 Guests; Roomy 2-Bedroom Kauai Condo Rentals that sleep up to 6 people; And Expansive 3-Bedroom Kauai Condo Vacation Rentals that accommodate 8. All Linens & Towels Provided.